4 days Lhasa Highlight Tour includes all must-see attractions in Lhasa, like Potala Palace, Jokhang Temple, Barkhor Street, Drepung and Sera Monasteries. So you can view all these in a shot period of time. Because they are close to each other, so we divide them in two days. The first day is for Potala Palace, Jokhang Temple and Barkhor Street. And the second day is for Drepung Monastery and Sera Monastery. Since we have very knowledgeable tour guide and safe drive, you can have an excellent travel experience. 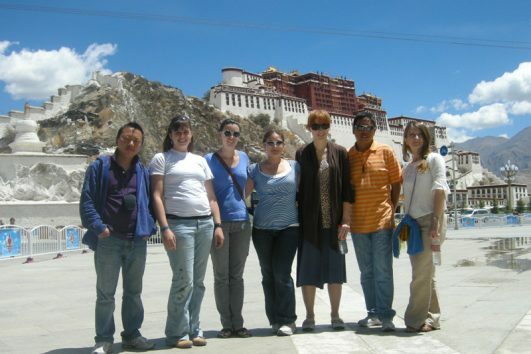 Our aim is to provide real Tibet tour with every one. So if you have any questions or comments, please let us know. Can we travel in Lhasa mostly by ourselves? Well if you do not want to book tour out of Lhasa but want to spend time on your own in Lhasa, this permits is suitable. This Lhasa travel permits allows you to have free time in Lhasa on your own. If you just need one day or two days tours service for must-see attractions in Lhasa, please inform your TripAdvisor and we can combine other tour products you need.